Located 450 metres from Porte d’Orleans and 750 metres from Montsouris Park, Hotel de l’Europe offers a French restaurant and a bar. 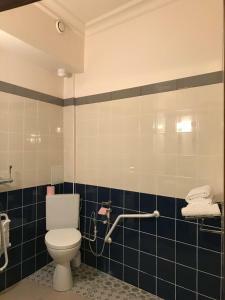 The rooms include free Wi-Fi access, a satellite TV and a bathroom with free toiletries. 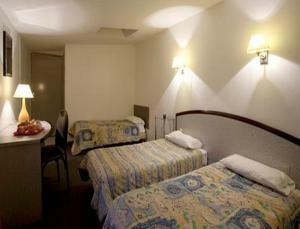 The heated, soundproofed rooms at Hotel de l’Europe also provide a telephone and a desk. Guests can request a hairdryer at the reception. 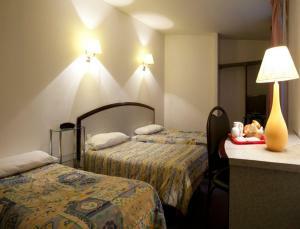 A traditional, continental breakfast is available every morning and includes French pastries, orange juice and fruits. A snack bar is also available on site. 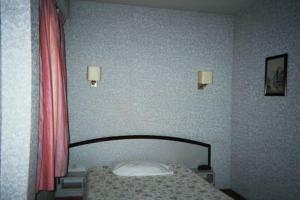 It is situated 400 metres from Porte d’Orleans tram stop which provides direct access to Paris Expo Porte de Versailles. Alésia Metro Station, 500 metres from the hotel, gives direct access to Notre-Dame Cathedral. Please inform Hotel de l'Europe in advance of your expected arrival time. You can use the Special Requests box when booking, or contact the property directly with the contact details provided in your confirmation. Guests are required to show a photo identification and credit card upon check-in. Please note that all Special Requests are subject to availability and additional charges may apply. 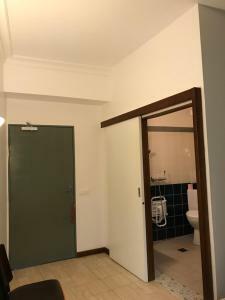 The rooms include free Wi-Fi access, a satellite TV and a bathroom with free toiletries. 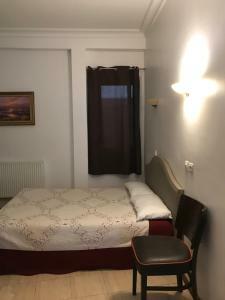 Rate: € 48.00 ... € 171.00; select dates below to get current rates. This family room features a electric kettle and soundproofing. 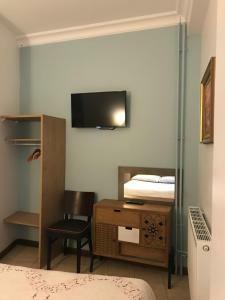 Rate: € 56.08 ... € 171.00; select dates below to get current rates.